You can make gorgeous lettering – I can show you how! The Postman's Knock believes in your ability and your creativity! 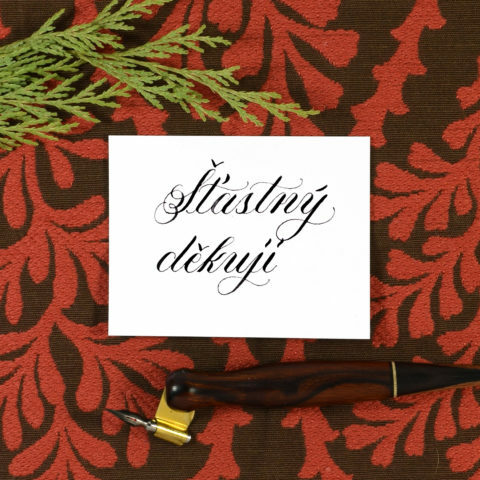 TPK has been a leading source of approachable and affordable online calligraphy instruction since 2013. Thousands of learners have benefited from TPK worksheets, tutorials, and the newly released Beginner's Modern Calligraphy Online Course. Fresh Stuff – Recently published posts await you! The other day, I received a marketing email from a company trying to sell me their electronic envelope addressing services. “Stop hand-addressing invitation envelopes!” it said. “The latest envelope printing technology lets you print handwritten quality envelopes at speeds of up to 5,000 envelopes per hour.” Despite the marketing claim, I don’t think that printed envelopes can truly reach “handwritten quality”. Why? 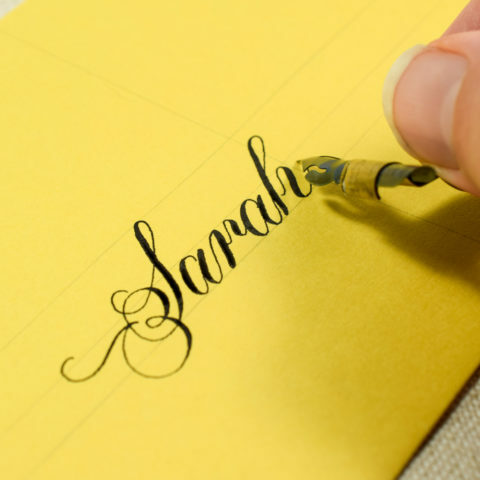 Well, besides the small but appealing imperfections that hand-written calligraphy can produce, there’s flourishing.